This product creates a holographic effect when mixed into suspension nail polish base or when used with the "burnishing" gel nails technique. 1 micron thickness, 50 micron particle size. Spectratek is a USA-based company that manufactures holographic films and glitters which have been adopted by the nail polish industry as dazzling nail polish additives. 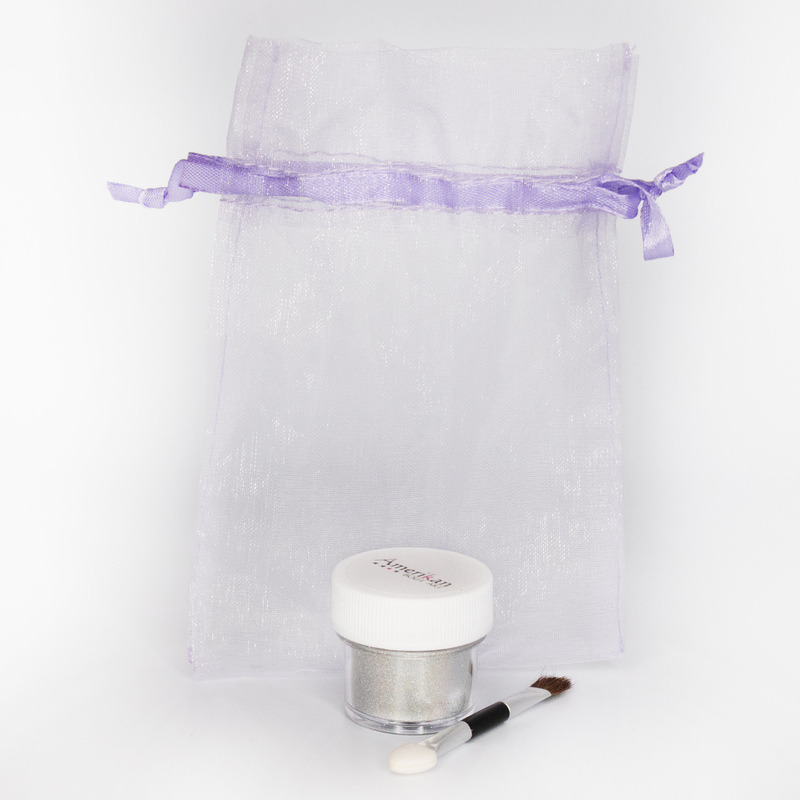 We purchase these products in bulk and repackage in smaller sizes for independent nail polish creators. These products are solvent resistant and create various holographic effects based on their particle size and material thickness. Always start with a small amount of product and test the effect before adding more. The smaller particles are fine for adding to colored polishes, but adding too much will make your polish chunky. For the most impact with these glitters, we recommend using them alone (without mica or pigment) in suspension nail polish base. Apply a regular colored nail polish first. Then apply your glitter polish. And finish with your favorite clear gloss or matte topcoat. The photos show 1 of our 1cc scoops (less than 1g) of the product mixed into 15ml of clear suspension base and applied in 2 coats, over black paint, with a gloss topcoat.